A private poll has found Labour and the Green Party neck and neck in the Brighton Pavilion parliamentary constituency. The findings, reported by the Brighton and Hove Independent, come from a poll commissioned by Michael Ashcroft, the former Conservative Party treasurer. Lord Ashcroft said: “In Brighton Pavilion I found Labour on 33 per cent, just one point ahead of the Greens, who were up a point on the last election. Both parties are up of their performance at the 2010 general election. Labour is on 33 per cent, up 4 per cent, and the Greens are on 32 per cent, up 1 per cent. Lord Ashcroft’s polling report can be found here. He wrote about the poll findings in an article on the Conservative Home website. He said that the Green Party’s performance across the country suggests that it may have been identified as the new “none-of-the-above” vote for former Liberal Democrats who dislike the coalition and do not want to back any of the established parties. In other words, he said, they could perform the same function for younger urban voters that UKIP currently does among older voters in other parts of the country. 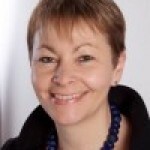 The Brighton and Hove Independent quoted Caroline Lucas’s campaign manager Adam McGibbon as saying: “This poll, essentially showing Greens and Labour neck and neck, is very good news for the Greens. “It shows that, even this far out from the election, with all of the national debate focusing on Labour and Tories, in Brighton Pavilion voters are still bucking the trend once again. “We echo Lord Ashcroft’s own view – this will be a closely contested race in which Caroline retains a very strong position. “Caroline is a fantastic MP, relentlessly standing up for what matters to her constituents, and her track record speaks for itself. “Her voice in Parliament is extremely strong and she holds solid political sway. Labour’s parliamentary candidate for the general election next May, Purna Sen, was quoted by the Brighton and Hove Independent as saying: “The latest Ashcroft polling in Brighton Pavilion is, of course, encouraging as it puts Labour ahead of the Green Party. “It reflects what we have been hearing on the doorstep and when listening to local residents – that support for the Green Party is ebbing and for Labour is growing. “The same poll shows that Pavilion residents would prefer a Labour government (43 per cent) over a Conservative one (20 per cent). “Opposition to this government’s policies is widespread. “Opinion polls are not election results and I shall continue to work hard to listen to local residents, hear their concerns and put my efforts towards returning a Labour MP with a hotline to a Labour government. I want my MP to be someone with a mind of their own, not another Labour backbencher who will do whatever their whip tells them to do. I’ll be voting for Caroline Lucas. we’re very lucky here! Labour are prone to bolshy skinhead politics. The Tories suffer from Droit de Seigneur as a mindset. The Greens try to out – left the left whilst all sing from differing hymn sheets……but in the muddle is a clear and hard-working, valuable MP called Caroline Lucas who transcends all the blarney and just gets on with a workload that few other MP’s would take on. And she reflects zeitgeist concerns that make the media flock to give her airtime where she never makes an idiot of herself. I hope she is re-elected. Over in Kemptown Kirby too seems an MP worth keeping on. Choose the person and not the party, I reckon. My vote will avoid anyone who takes money from developers past or present who will seek payback from that person once elected – like PeterKyle for Labour, who accepted £10,000 for his campaign in Hove – from Josh Arghiros. His nightmare Karis overdevelopment proposed for King Alfred and part- designed by Frank Gehry was heavily promoted by Labour and forced through planning just a few weeks before the 2007 local elections. They got their consent, but paid for it at the polls. Labour were savaged by voters and chopped right down. The Planning Dept was ripped apart because of it too. But the bankers & Gehry fled and we were spared. At least Pavilion has a candidate who is about the residents and whi seems very responsible to me. Labour have NO strategy to defeat Lucas apart from associate her with Green councillors. They have nothing to criticise on her record at all. They’re stumped. this is reason enough to re-elect her. I think that time will tell, but I for one would be very surprised if the Greens retained control of the council after May 2015. Labour and the Conservatives seem to have no structured answers to wrest control from them, so it appears that the fledgling Ukip candidates, that are springing up all over in various Brighton & Hove wards offer the only real alternative. Some sound local policies coming from them to repair the damage done to my home town and help local business recover from the green onslaught.